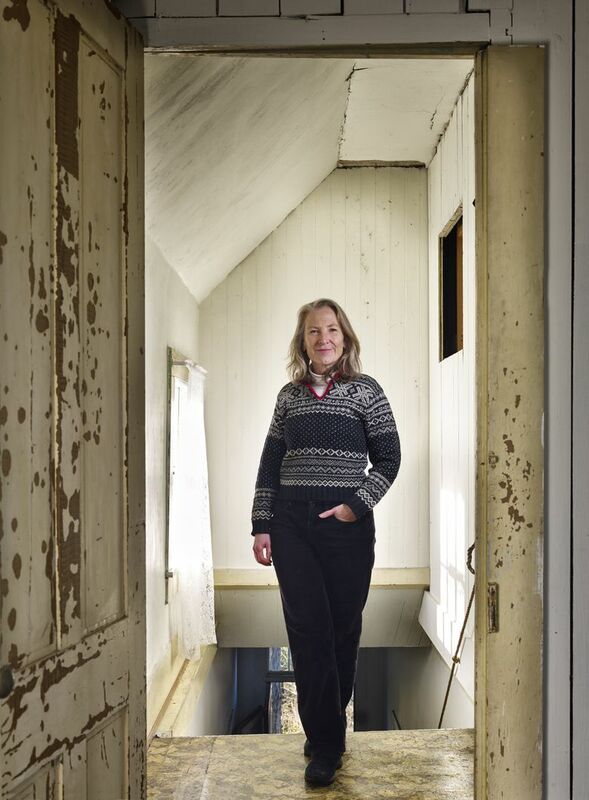 Can a Civil War soldier’s 150-year-old house on Whidbey Island be saved? A historic preservation group is trying to save a wreck of a house in Coupeville. CALL IT GRANVILLE HALLER’S last campaign. 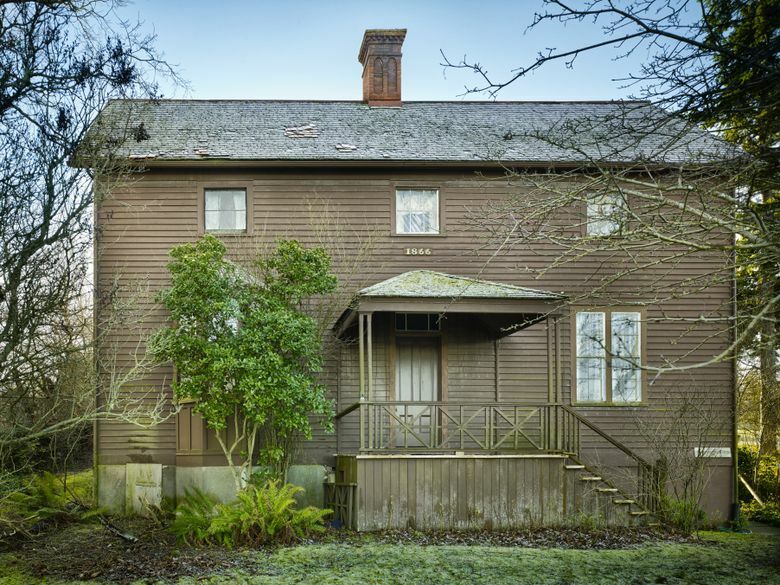 The hard-luck Indian fighter, Gettysburg campaigner and wronged army officer has an 1866 Coupeville house to save. Granville Haller, born in York, Penn., was a war hero before he moved to Washington. Granville who? The obscure 19th-century colonel is the Forrest Gump of Washington state, a man who repeatedly collides with history. Haller was a frontier soldier who played key roles near Yakima, Ellensburg, Port Townsend, Bellingham, Friday Harbor and Coupeville. He was unfairly booted from the Union army and was a controversial real-estate mogul who built Seattle’s biggest mansion, a postmaster, a county treasurer and a provost marshal who helped restore order during the anti-Chinese riots of 1886. His sons Theodore and Morris helped rebuild downtown after the Great Seattle Fire of 1889. Haller was everywhere, and is remembered almost nowhere. 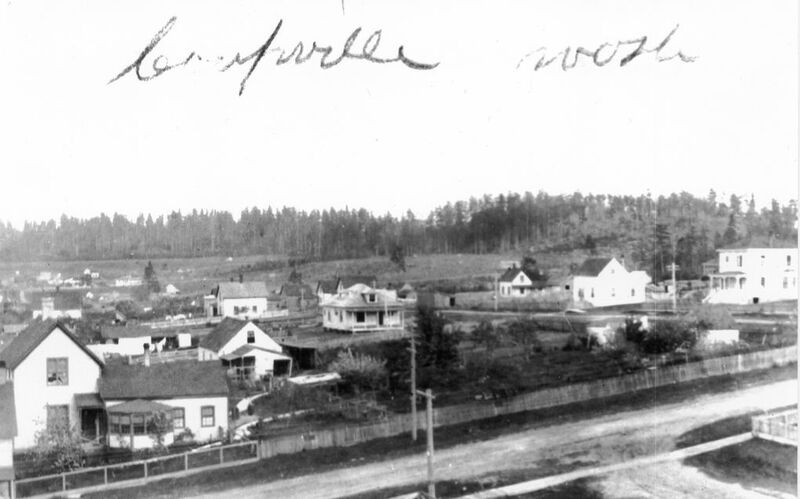 North Seattle’s Haller Lake got its name from Theodore, who continued his father’s real-estate empire. Arlington’s Haller Middle School takes its name from Haller Town, another early development. Skagit County’s Edison was platted by the clan. Haller’s obscurity and persistence make him the patron saint of every middle manager who never made it to the top, and every dogged careerist who triumphs by never giving up. He was charming, quarrelsome, resolute, honorable, clumsy, ruthless and indefatigable. What’s left is his remarkable wreck of a Whidbey home. Our state is typically about the future: railroads, floating bridges, dams, atomic bombs, world fairs, Boeing, Microsoft and Amazon. Construction cranes and delivery drones. 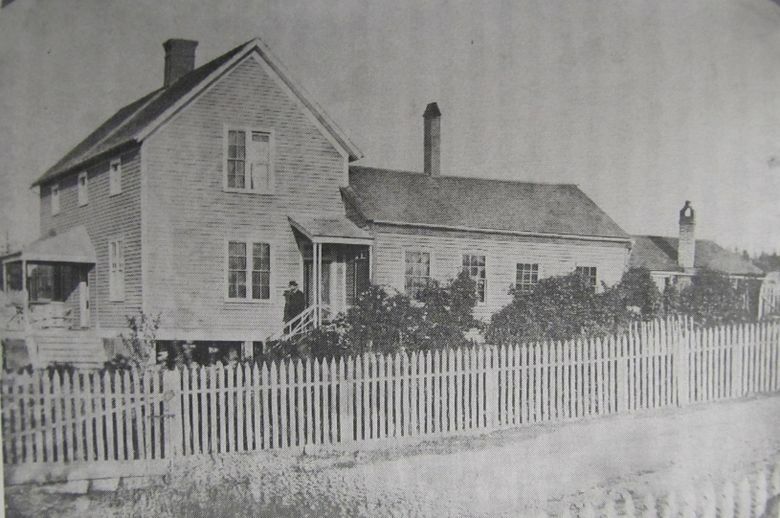 Granville Haller’s Coupeville home, left, was built in 1866. Then there’s Coupeville, the Hollywood-worthy hamlet in the middle of Whidbey Island that the future blessedly passed by. Washington’s Williamsburg is now included in the 17,572-acre Ebey’s Landing National Historic Reserve, created by Congress in 1978. It has 200 “contributing structures” of historical significance and 30 that date from the pioneer period. “It’s the most concentrated group of territorial structures in Washington state,” says Sarah Steen, the reserve’s preservation coordinator. 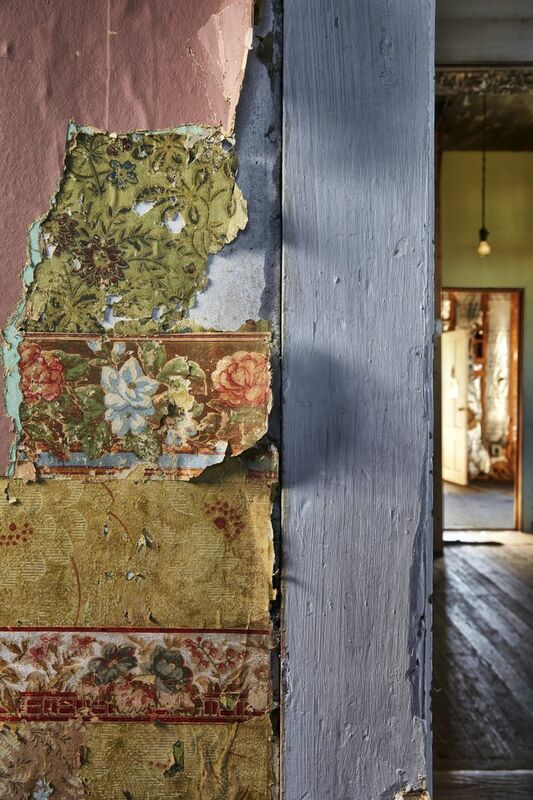 “We don’t have a lot of residences left from that period,” says Chris Moore, executive director of the Washington Trust for Historic Preservation, which put the Haller House on its Most Endangered Historic Properties list in 2013. Port Townsend and Port Gamble have charming Victorians. Puget Sound is dotted with old forts. But early settlers? “People couldn’t wait to erase the traces of pioneer history,” says Lynn Hyde, president of a preservation group called Historic Whidbey. Which is why she’s passionate about the big brown fossil at the east end of downtown Coupeville. The Haller House has persisted as a time capsule. No one — not even the Willhight family that inhabited it for 50 years until 2004 — ever modernized it. A single toilet is the only modern plumbing. 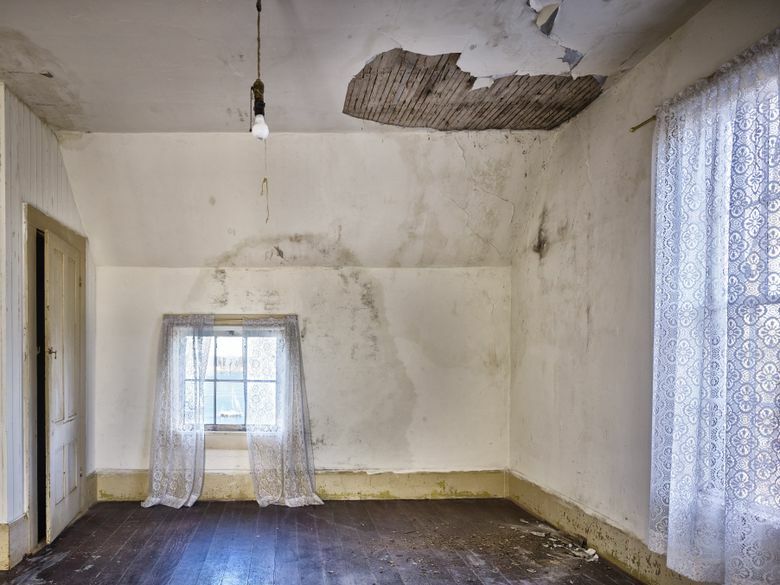 Never-repaired holes in walls and ceilings reveal the original lumber, lath and plaster. 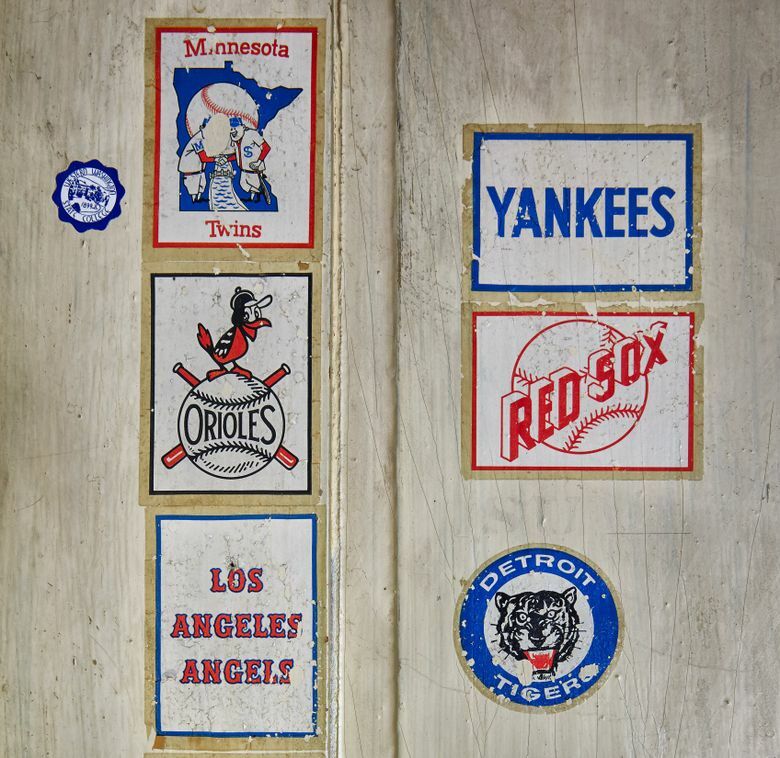 Squirrels and raccoons have visited more than preservationists. It’s a derelict with a million-dollar view of Penn Cove. The McPherson family that lives and operates a law firm across the street bought the structure just before the Great Recession. “It was not a business decision; it was an emotional thing to take care of it,” says 84-year-old Joan McPherson, a former Superior Court judge and attorney. But the real-estate crash posed financial challenges for the extended family, and they can’t afford to keep or redevelop it. 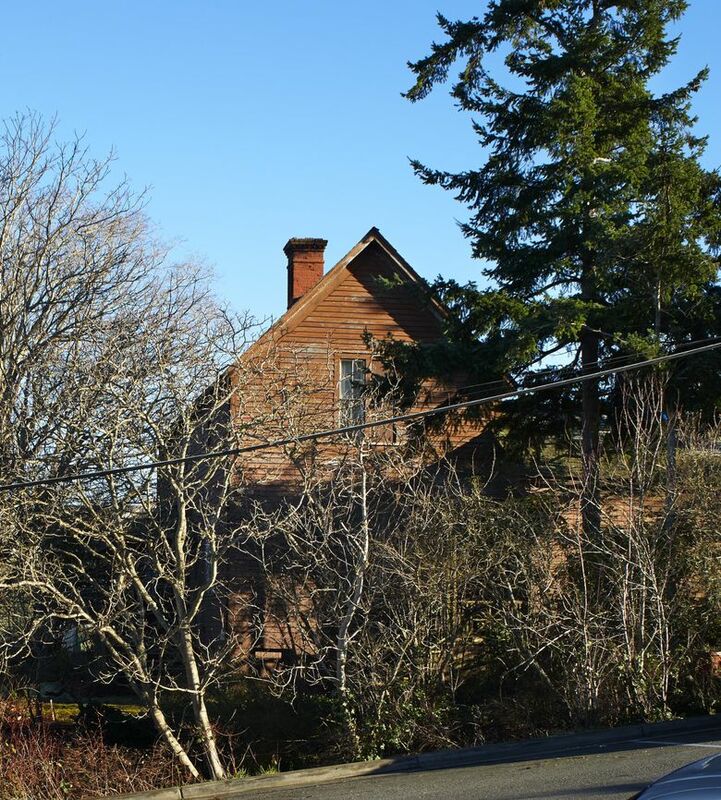 Historic Whidbey needs $250,000 by April 1. “The first step is to secure the property,” Hyde says. Complete restoration could cost another $500,000, and Hyde’s hope to run it as a museum, visitor center and store could take still more. Unfortunately, Coupeville has too many good causes. Hyde estimates Whidbey Island has one nonprofit for every 40 residents, all of them seeking money. Colonial Williamsburg had John D. Rockefeller Jr. run to its rescue. Historic Whidbey would like to find a similar enthusiast. Mere millionaires will do. The Haller House is probably the earliest in the state with balloon framing, a predecessor to the stud construction of today’s houses. It is joined to an 1859 two-room plank-and-frame cabin built by pioneer Raphael Brunn. The bay windows, central fireplace, ornate brick chimney and Georgian facade give it charm. 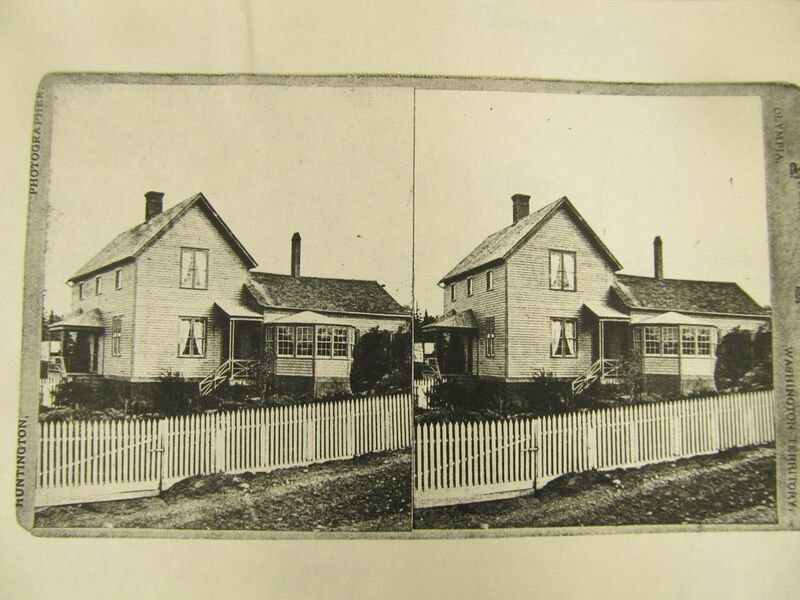 A stereoscopic view of the home Granville Haller built in Coupeville after the Civil War. 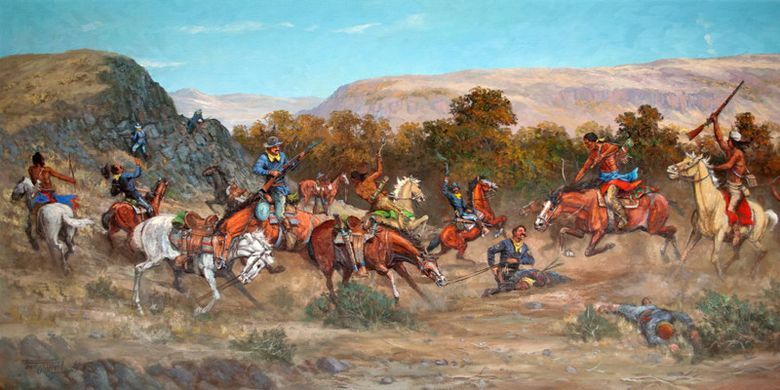 EVEN MORE COMPELLING is the curious history of Granville Haller, whose trajectory represents both the best and the worst of the American West. Haller was born in York, Pa., in 1819. He had his first bad luck in 1839, when his recommended appointment to West Point was instead given, as a political favor, to the son of a recently deceased clerk of the House of Representatives. 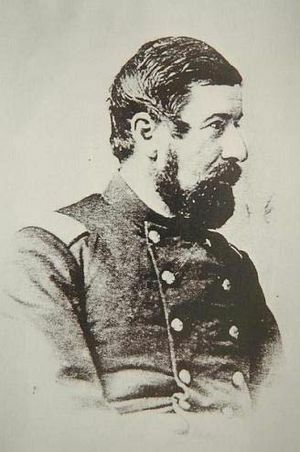 Haller still received Army entry as a second lieutenant, but it rankled that officers with a West Point pedigree were promoted before him in the Civil War. The career soldier served with distinction in the Seminole Indian War in Florida in 1841-42 and the Mexican War in 1845-47. He was promoted to captain for “gallant and meritorious conduct” in the attack on Mexico City’s Chapultepec Castle. By 1852, Haller was a major when he sailed around Cape Horn with his wife and soldiers to Fort Vancouver on the Columbia River. The first Seattle pioneers had landed on Alki Beach just one year before. 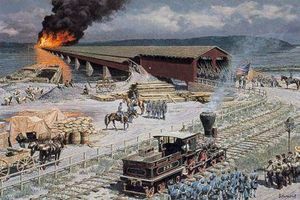 Granville Haller, a major in the Union army, ordered the Wrightsville Bridge, a covered railroad span over the Susquehanna River, burned in order to turn back Confederate soldiers near Gettysburg. Haller out-adventured all of them. He and his wife, Henrietta, were assigned to Fort Dalles, a parched and windy post on the Oregon side of the Columbia. “Our quarters are of rough hewn logs chinked with marl and full of bedbugs,” Hennie wrote. The rough plank floors scratched her infant’s legs and wore out his diapers. “We are not concerned with the Indians (near) our children,” she wrote. “(But) I keep them close to the house because of snakes.” Wolves ate farm animals. But the couple made a home. Haller’s controversial role as Indian fighter began in late 1854, when Snake Indians killed 18 white immigrants on the Oregon Trail in Idaho. He led two punitive expeditions, hanging some braves over the graves of their white victims. By the time he returned to The Dalles in 1855, Washington’s tribes were in an uproar over treaties forced on them by Territorial Gov. Isaac Stevens. After Yakima warriors killed a miner, it was Haller’s lousy luck to be assigned to retaliate. Assembling 106 men — poorly armed regulars and militia — he advanced across Satus Pass to Toppenish Creek near today’s Union Gap. On Oct. 3, his force collided with an Indian force under Chief Kamiakin that swelled to as many as 1,500 warriors. Haller avoided a Custer-style massacre only by conducting a skilled three-day withdrawal. Five of his men died, and 17 were wounded. But “Haller’s Defeat” was a sobriquet that hung like an albatross. Reinforcements eventually scattered the natives, and Haller established an Army camp in the Kittitas Valley. Then, shortly after Seattle was attacked in January 1856, he was ordered west of the Cascades to build Fort Townsend, now a state park. He chased raiding Canadian Indians from a revenue cutter ship called the Jeff Davis, pursued Nooksack Indians in Whatcom County and supported Pickett’s troops in the 1859 Pig War. AND THEN CAME the 1861 Civil War. In October 1855, Haller’s men were defeated by Chief Kamiakin and 1,500 warriors, but only Haller’s skill prevented a Custer-like massacre. At first it seemed Haller’s luck had changed. He commanded the headquarters guard of Gen. McClellan, who was briefly perceived as the Union’s savior. But Lincoln dismissed McClellan for timid combat performance, and Haller found himself a “McClellan Democrat” in a Republican administration. Sometime during the Battle of Fredericksburg in December 1862, Haller entertained officers in his tent. Everyone drank too much. 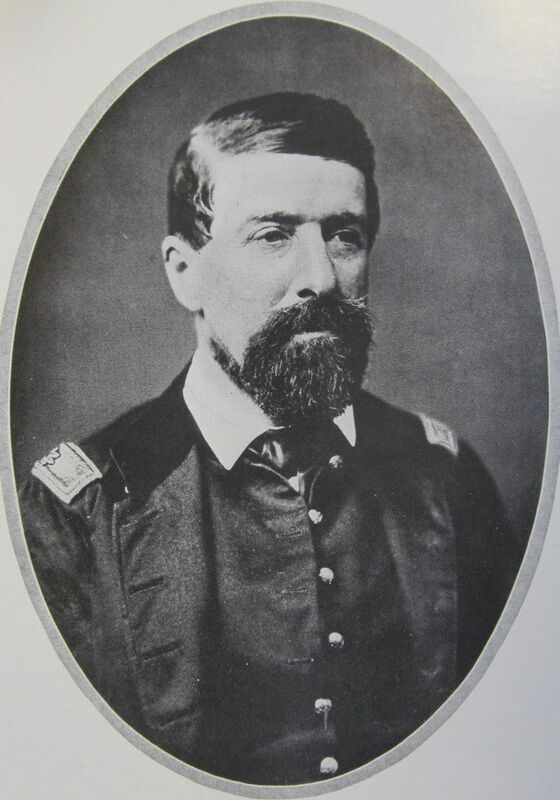 A Navy officer named Clark Wells thought Haller had impugned his courage for not crossing a bridge under fire, and months later Wells retaliated by claiming to the War Department that Haller, in a time of rebellion, had given an anti-Lincoln toast. “This man is crazy!” Haller later protested, noting that Wells had been in an insane asylum as recently as 1861. A witness supported Haller’s version of events, but the dispute would dog his life. Meanwhile, Haller had fallen ill and was recuperating at home in York when Robert E. Lee invaded Pennsylvania in June 1863. 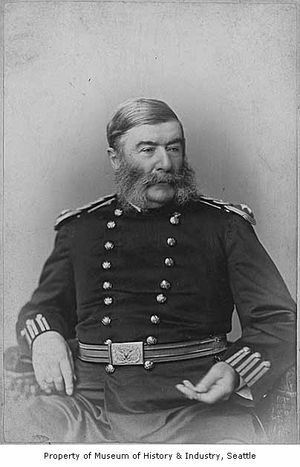 The major immediately returned to duty. It was Yakima bad luck all over again. Haller was ordered to lead an ill-trained and poorly armed militia to block rebel foragers near Gettysburg. Instead, he ran into a full division of 6,000 Confederate veterans under Jubal Early and hastily fell back, the rebels capturing or killing 175 men. Early advanced toward the Susquehanna River and Philadelphia, threatening to cut off Washington, D.C.
Haller was arguably a hero. But a few weeks later he was dismissed from the Army without explanation, thanks to crazy Clark Wells. Even Lincoln reportedly asked the Secretary of War why Haller wasn’t allowed to defend himself, but Edwin Stanton apparently was eager to weed out rumored treachery by McClellan loyalists. Bad-luck Haller, who made enemies as easily as he made friends, fell prey to war’s political paranoia. THE HUMILIATED MAJOR returned to Washington Territory, bought a store in Coupeville, built his house and shrewdly began extending credit to pioneer farmers. His was the only such store between Seattle and Bellingham, and he lent at predatory rates of interest, scooping up property when farmers defaulted. By the late 1870s, he had land holdings in 11 counties and the wealth and clout to appeal his Army dismissal. 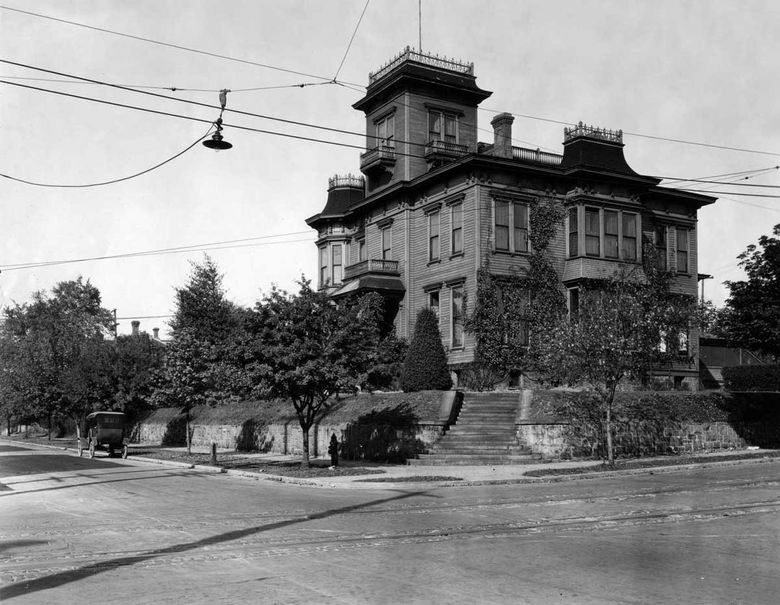 Granville Haller moved to Seattle in 1882 and built his Castlemount Mansion on First Hill. The 18-room mansion was the largest in Seattle. In 1879, Congress passed a resolution to re-examine his case, and Haller finally got an exhaustive six-day Court of Inquiry in Washington, D.C. He was exonerated, reinstated in the Army and promoted to colonel at age 59. He sold his Coupeville holdings and accepted bleak assignments in Oklahoma’s Indian Territory. His pride and reputation were worth more to him than temporary comfort. The three-year second tour of duty ended with his mandatory retirement at the age of 63. Haller settled in Seattle in 1882; resumed his real-estate career; and built a three-story, 18-room mansion on First Hill called Castlemount. When anti-Chinese rioting broke out in 1886, Territorial Gov. Watson Squire declared martial law and appointed Haller provost marshal, with the power to close saloons and enforce a curfew. The unrest was contained, though most of the city’s Chinese were still forced to leave by boat. Haller’s late-life service certainly wasn’t required. Hyde theorizes that he was motivated by a soldier’s belief in order, plus frustration at never obtaining glory. 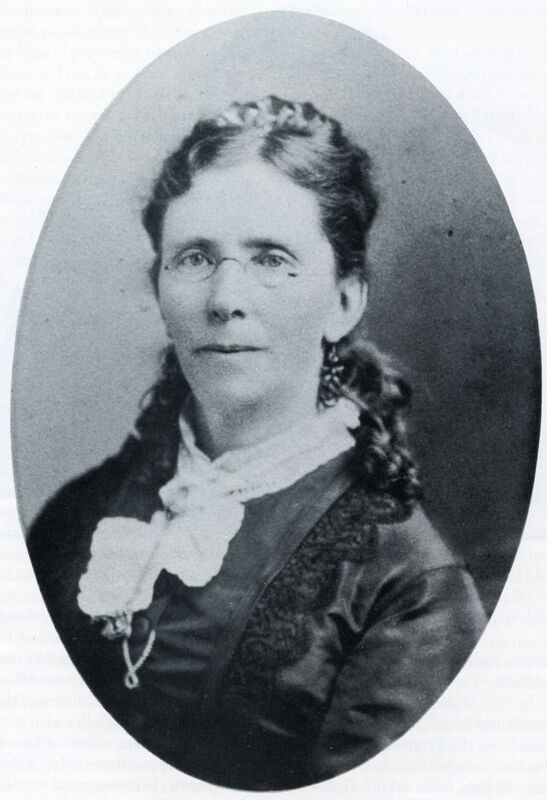 Henrietta Haller lived with her husband in their Castlemount mansion until he died in 1897. She died in 1910. Haller died in 1897 and his wife, Henrietta, in 1910. 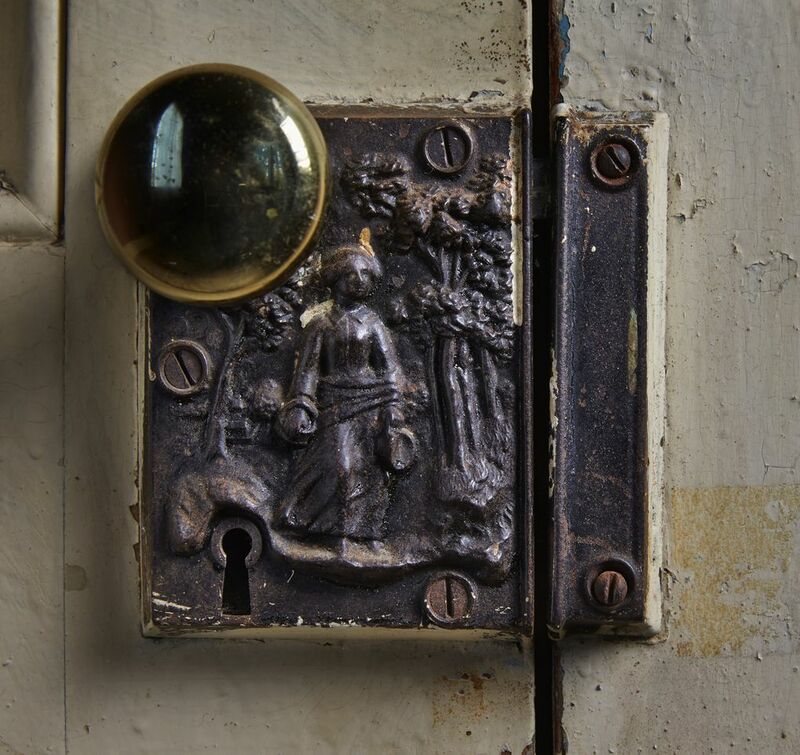 His son Theodore lived on at Castlemount, but Theodore’s young wife, 30 years his junior, hated its cold, its warped floors and what she said were ghosts. They divorced after 11 years, Theodore died two years later and the mansion was eventually razed. The Haller Building downtown was demolished in the 1950s. West Seattle’s Haller School, donated by Granville’s son Morris, eventually became a school annex and then an American Legion Hall. There still is a Haller Fountain in Port Townsend, a Haller Road on Whidbey, and Haller streets in Coupeville and Arlington. WHICH BRINGS US back to the Haller House. It had a dozen owners by the time Stan and Edna Willhight bought it in 1954 and resided there for the next 50 years. 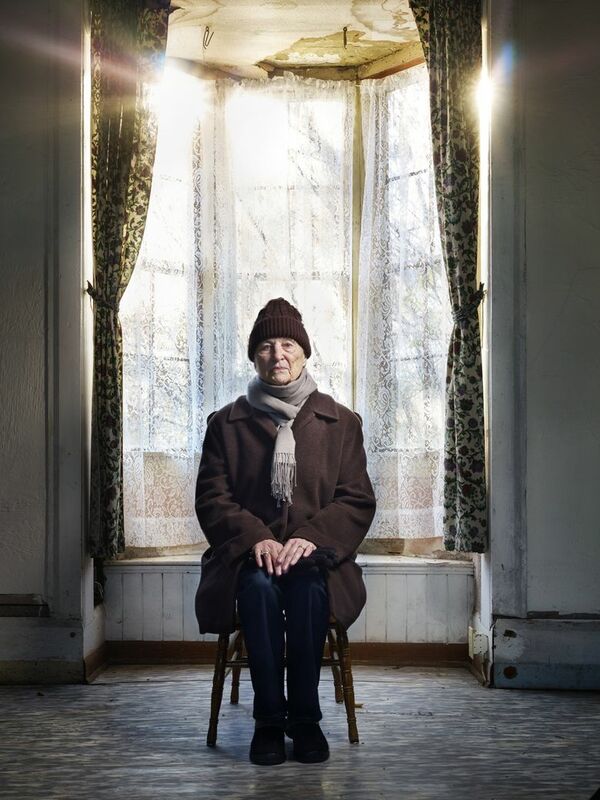 Edna was a schoolteacher and Stan a watchmaker, but a tight budget prevented improvement. 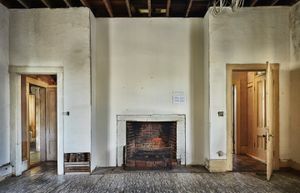 Heat came from the original fireplace and a wood stove. Heritage is at the mercy of historians who decide what to remember and what to forget. Haller is mostly forgotten, Hyde says, and yet he is emblematic of our rough-and-tumble origins. 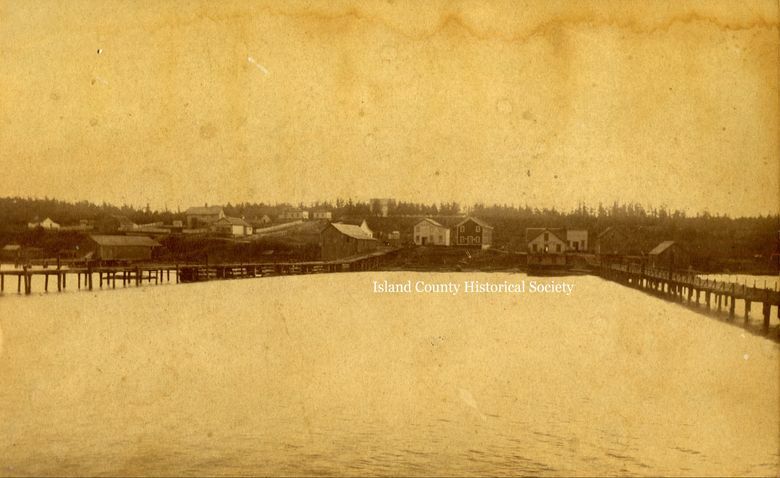 Tiny Coupeville had enormous importance in the 1850s and 1860s, from a holding area for displaced Native Americans to a commercial center for pioneer farmers. It’s one of the places where Washington started. Living room of the Haller House. Ideas for the home include a museum, a pioneer mercantile in the Brunn wing or a National Park Service visitor center, but parking and accessibility raise issues and cost. 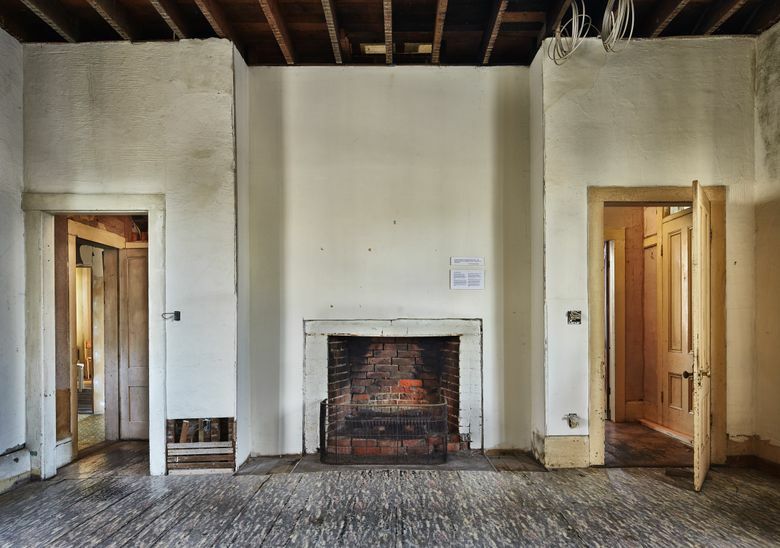 The house could also conceivably be purchased and restored as a private residence. Or, Granville Haller could retreat yet again, his legacy lost. William Dietrich is a freelance writer. Reach him at williamdietrich@comcast.net. Benjamin Benschneider is a Pacific NW magazine staff photographer.